Come and discover or rediscover our new hotel... Everything is new except the view of the golf course, for your pleasure and ours! 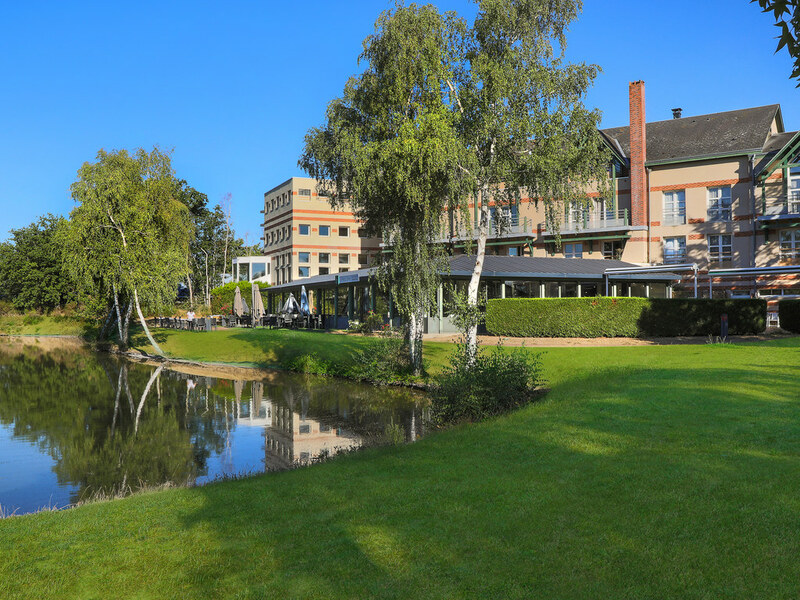 Ideally located close to the Orléans-Limère international golf course and Les Balnéades wellness center, our fully renovated hotel offers a high-quality and relaxing stay. With its 8611 sq. ft. (800 m²) of perfectly equipped meeting rooms with natural light, our establishment is also able to accommodate all types of professional events. Enjoy our restaurant with views over the greens and give in to the temptation of our modern and refined cuisine. Les Balnéades partner spa 55 yds away. 91°F heated pool, sauna, hammam and fitness center. Lush green surroundings with a view over the Golf de Limère golf course. Ô Deux Sens restaurant serving fresh, seasonal produce. Simple, tasty and affordable homemade food made with fresh produce and prepared by our expert and passionate chefs. The dining room offers a friendly welcome and a magnificent view of the 18th green. A bar at the heart of the hotel for your convenience. Whiskies from around the world, house cocktails, a homely workspace and magnificent views of the golf course all combine to provide the perfect place to relax with friends. very good hotel, with an excellent location, very quite. restaurant is OK (even if not on the top levels), location is perfect and view from windows is also very beautiful. i would say that is the first time a have really a very good experience! Professional, comfortable, does the job and a bit more. Some distance from ORLEANS centre, but tranquil environment appreciated. Everything worked fine, well appointed room, decent dinner and breakfast. Two small suggestions...install soap rack in apparently newly renovated showers - inconvenient having to bend down to reach for soap and shampoo. Second, nice to have tea and coffee in room, but milk missing (either powdered or UHT). I have passed a very quiet and relaxing moment in confortable place. This is a very nicely located hotel with a tremendous view on the golf course and very close to the city of Orleans. Friendly staff, nice bar, but expensive wines. The rooms are good, but as usually in France rather small with a tine tiny closet.